The news of rugby player Israel Folau being sacked from both Rugby Australia and the NRL has sparked discussion with some people advocating for Folau’s freedom of speech and others praising the swift movement by rugby governing bodies. Referring to an article about the new Tasmanian law that allows gender-optional birth certificates in the state, Folau wrote on his personal Twitter that “the devil has blinded so many people in this world” and that they must “repent and turn away from your evil ways”. 2GB’s Alan Jones has said that the decision to terminate Folau’s contract “completely corrupted” free speech in Australia. “This has gone on and on and on this crap. Out there, people now are terrified of saying anything, they don’t know what they can say,” he said on 2GB today. Jason Ball, the second openly gay Australian rules football player at any level, said that people like Folau “kept [him] in the closet” in an article posted following the news. Former deputy prime minister Barnaby Joyce paralleled Jones’ free speech argument with his own. “He is a rugby player with a well known very Christian conservative worldview. They employed him and they knew that how can they sack him?” he wrote on Twitter. Joyce was outspoken in the 2017 gay marriage postal plebiscite and campaigned heavily for the ‘no’ vote. Other rugby players both former and current are taking to social media in response. Capturing a large following, former British and Irish Lions captain, former Welsh captain and an openly gay man, Gareth Thomas responded to Folau as well. Retired English rugby player Joe Marler responded directly at Folau a picture of two men kissing. He then tweeted a similar video again tagging Folau. This wasn’t the first time the Super Rugby’s all-time leading try scorer has been in trouble for sharing his beliefs. In April last year on Instagram Folau warned “sinners” including homosexuals, atheists and drunks among others that “hell awaits them”. He later responded to this post by saying that they were his views and that “in life, you are allowed to agree to disagree”. 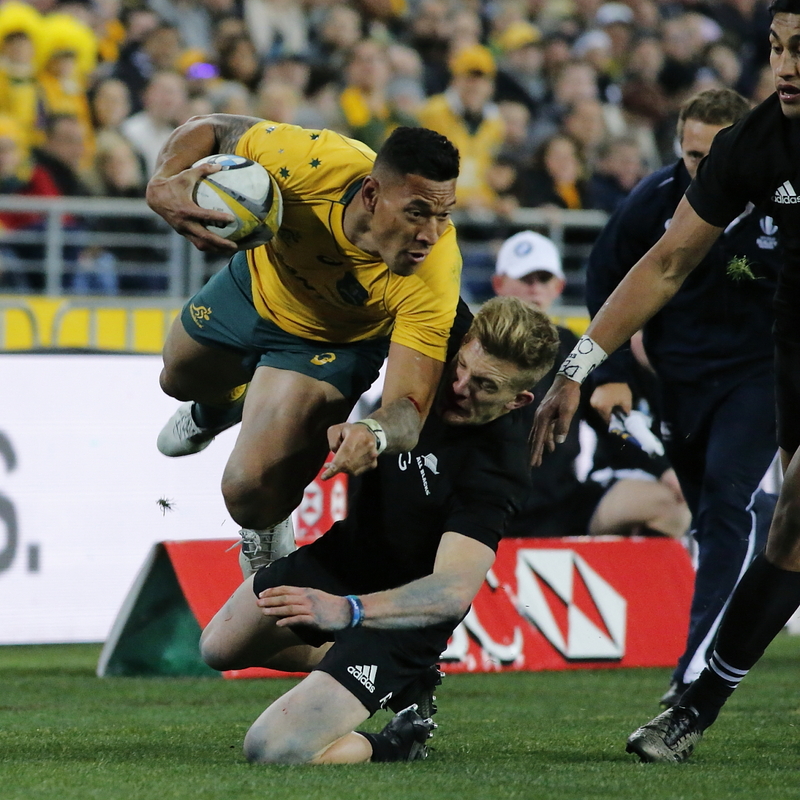 Folau will no longer be allowed to represent Australia in the Rugby or the Waratahs in the Super Rugby. With the NRL declining to register Folau, many believe he will have to play internationally if he is to pursue his rugby career. Photo: 2017.08.19.20.37.00-Israel Folau By www.davidmolloyphotography.com available HERE and used under a Creative Commons Attribution. The image has not been modified.